With the new NASS online survey form, a farmer will be able to enter his or her operation’s information from the field, feedlot, or office. Agricultural surveys for farmers and ranchers will be easier to complete with the help of a new online questionnaire. 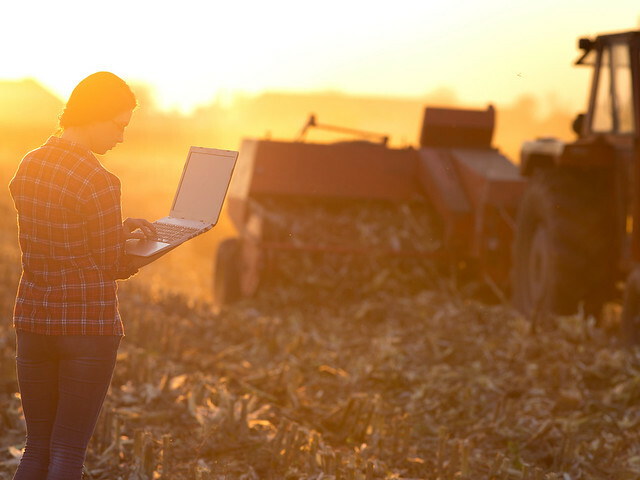 We have been working to help our customers – the American farmer and rancher – have a faster, friendlier, and easier experience responding to surveys, which are the backbone of official U.S. farm statistics. While paper forms will still be an option, we encourage farmers, ranchers, and producers to use the online form. Online reporting saves time and money. The electronic surveys can be filled out from a browser, a tablet, or even a handheld smartphone starting with surveys mailed for the upcoming August 1 surveys. Respondents will receive a 17-digit survey code with their questionnaire and can then complete it online at www.agcounts.usda.gov. The online questionnaire is responsive to each device, meaning the form fits the screen of whichever device the respondent is using. In the event that a person cannot finish the form in one sitting, they will be able to save their work and return to finish the form at another time. They will also be able to print the information to save for future reference. The new online form will calculate totals automatically and skip sections that do not pertain to the respondents, in turn saving them time. For example, a farmer who produces only soybeans will not see the poultry and livestock sections. The new online questionnaire is designed to be flexible, save time for the farmer, and most importantly be easy to use. With these improvements we hope more producers will complete their surveys online. The new system was used for the 2017 Census of Agriculture, Quarterly Milk Production Surveys, March Agricultural Production Survey, and the June Agricultural Production Survey. This video shows how the online questionnaire was used for the Census. We are testing and plan to implement enhancements that further ease survey response such as the inclusion of data from previous surveys and optional email notifications.